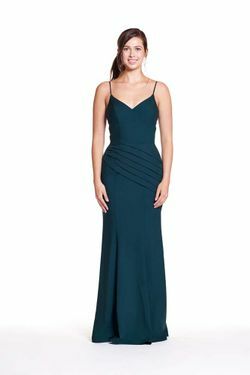 Bary Jay bridesmaid dress style 1826 - Bella chiffon and Lace gown featuring a high scoop neckline with drop waist. Slim skirt with slide slit. Solid lace colors only.